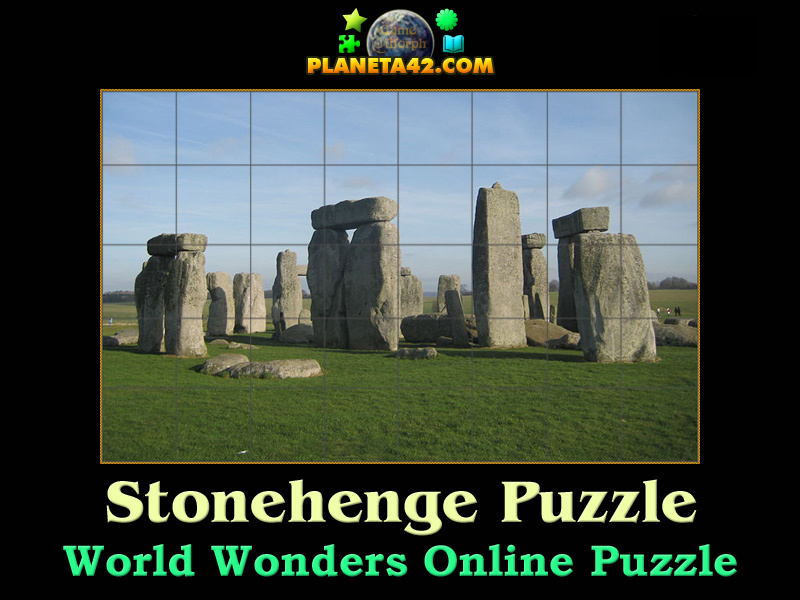 Stonehenge world wonder in a fun online history puzzle. "Stonehenge Puzzle" is a fun square rotating puzzle to sort 40 squares puzzle of the Stonehenge wonder of the world. Fun online history puzzles for desktop computers, laptops and tablets, which may be played in the web browser. Wonders of the world game. How to play Stonehenge Puzzle. This is a common square rotating puzzle. 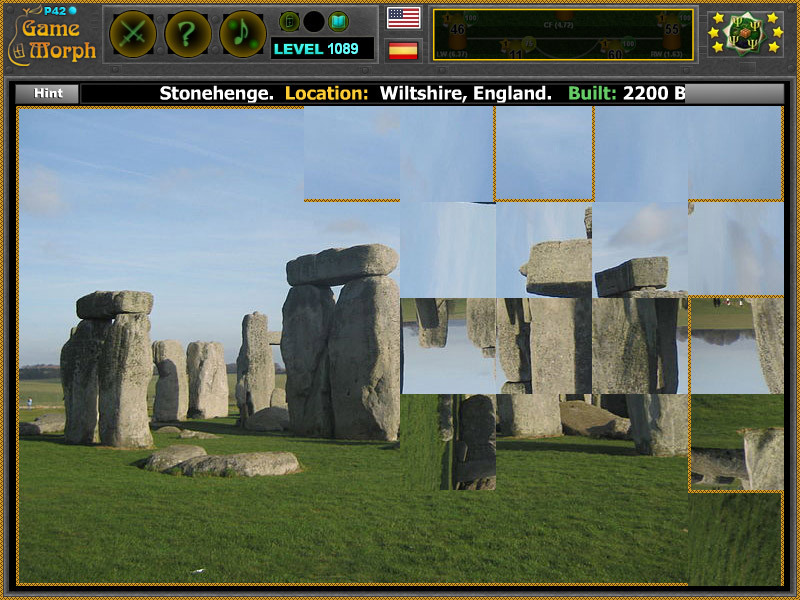 Click on the puzzle pieces to rotate them, while they fit the original picture of the Stonehenge. Use the "hint" button to see which pieces left. From Wikipedia: Stonehenge is a prehistoric monument in Wiltshire, England, 2 miles (3 km) west of Amesbury. It consists of a ring of standing stones, with each standing stone around 13 feet (4.0 m) high, 7 feet (2.1 m) wide and weighing around 25 tons. The stones are set within earthworks in the middle of the most dense complex of Neolithic and Bronze Age monuments in England, including several hundred burial mounds. Archaeologists believe it was constructed from 3000 BC to 2000 BC. The surrounding circular earth bank and ditch, which constitute the earliest phase of the monument, have been dated to about 3100 BC. Radiocarbon dating suggests that the first bluestones were raised between 2400 and 2200 BC, although they may have been at the site as early as 3000 BC.